HOLLYWOOD – Netflix is to produce a movie that charts the behind the scenes drama of the HBO movie about the making of The Godfather: Francis & the Godfather. In a brilliant postmodern move, Netflix studios is developing a film about the making of a HBO film about the making of The Godfather. The HBO film, Francis & the Godfather, chronicles the making of Francis Ford Coppola’s adaptation of Mario Puzo’s bestselling novel. 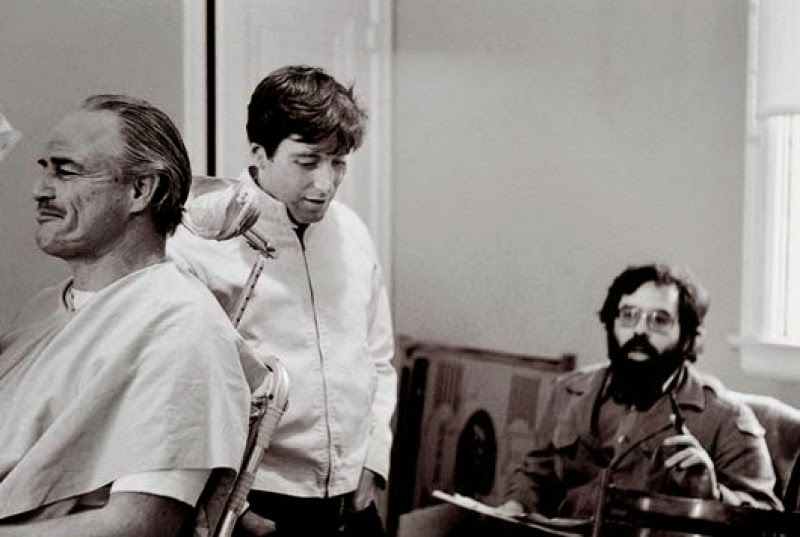 The Netflix movie HBO, Francis & The Godfather will follow the way Andrew Farotte’s black list script was brought to the screen in collaboration with the filmmakers of the original Godfather movie. We’re really excited. The Godfather stands as milestone in cinema history. One of the best films ever made. And the drama of how it was made is almost as interesting. When we heard HBO were making a film about the making of it, we couldn’t help but think, what about a film about the making of a film about the making of The Godfather? What could be more interesting than that? Showtime has announced plans to make a film about the behind the scenes drama of the making of the Netflix film about the making of the HBO film about the making of The Godfather. Netflix, HBO, Francis and The Godfather will be released in 2018.